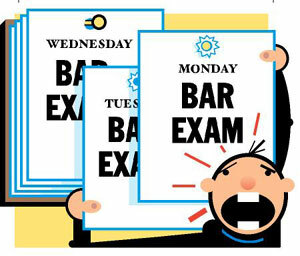 Remember the sweats, the stress, the nausea, the jitters when you took the bar exam? None of that is likely to change any time soon. The board of governors was unimpressed with a proposal it received last month to reduce the test from three days to two, worrying such a move might be perceived as dumbing down what is generally considered the toughest bar exam in the country. 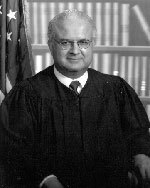 And one governor, former California Attorney General John Van de Kamp, drew laughs with his suggestion that the state's lawyers might view the bar exam as a kind of initiation rite. "I took a three-day exam and by God, so should they," he said. Representatives of the Committee of Bar Examiners, which oversees the exam, proposed the change as a way of saving money and reducing stress, and assured the board that a shorter exam would not compromise the quality of the test. A two-day exam, said Ed Stark of Santa Monica, "would be a different exam that would be just as reliable as the exam is now." Stark, who headed the committee's study of the test, called it "a grueling exam. It's almost cruel and inhuman treatment." Touri Bolourchi, a retired nurse from Iran, was afraid to fly after losing two relatives in plane crashes. The southern California resident finally was prevailed upon to visit her daughter in New England. She changed her return flight reservation from Boston several times before settling on United Airlines Flight 175 to Los Angeles. As the world now knows, on Sept. 11 that plane crashed into the south tower of the World Trade Center. The respected nurse and speaker of six languages left her physician husband of 42 years, Akbar, her two daughters and two grandchildren. Her family is dealing with their grief the only way they know how - trying to help others. They are hoping to set up a non-profit foundation to assist young people with nursing careers, but they find this task daunting, fraught with unanticipated, complex legal problems. Another southern Californian who lost her husband the same day on American Airlines Flight 11 is now trying to raise her son and daughter on her own. Without an income, the woman, who asked not to be identified, is worried that she can't afford to send her children to college. Like the Bolourchis, she has many questions about what benefits are available for her family and how she can obtain them. Now these southern California residents are finding some help. California Supreme Court Justice Carlos Moreno and Detroit Mayor Dennis Archer will be the keynote speakers for the State Bar's Midyear Meeting, which will focus this year on improving access and fairness in the legal profession and within bar leadership. Members of the bar and the judiciary are invited to attend the weekend session March 15-17 at the Renaissance Hotel in Sonoma. Entitled "Charting a Statewide Agenda: Diversity, Leadership & Strategies for Success," the meeting offers eight hours of MCLE credit for courses which include access and fairness in the profession and in the courts; maintaining a work/life balance; domestic partner rights; obstacles to participation of legal professionals with disabilities; elder abuse; and avoiding attorney discipline. The four candidates seeking an open seat on the State Bar Board of Governors each have a different focus, but they agree on one thing: the bar needs to listen to its members.